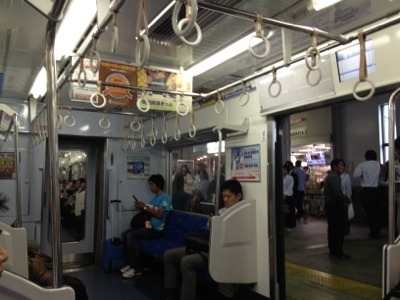 I got on the Tokyu line! The train was little late. Yesterday, there was a landslide. 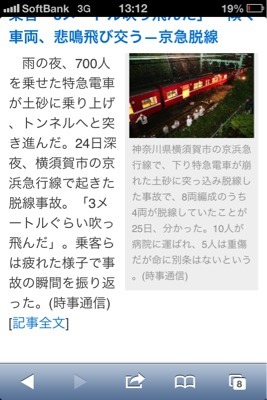 Because of that trains were not running on schedule.